Many stories have been written on how the late Pixar CEO Steve Jobs had Pixar’s building built in a way that would foster greater creativity and collaboration. 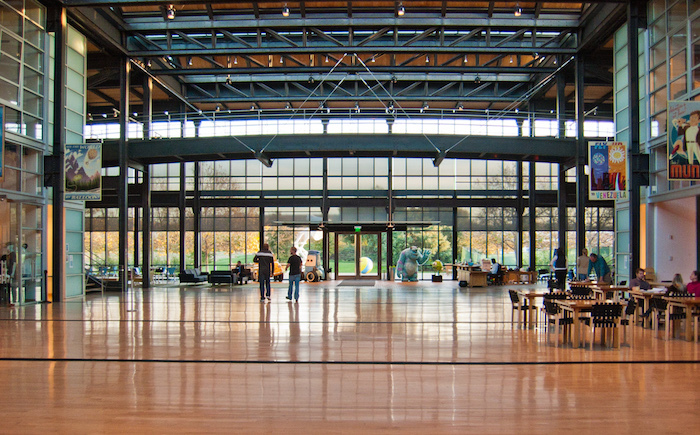 The majestic atrium that greets all those who enter the studio’s main building (now called the Steve Jobs Building) was placed within the center of the structure, forcing chance meetings between its employees. The idea was that it would ensure that Pixar directors, animators, and artists would cross paths and work together to generate greater ideas. 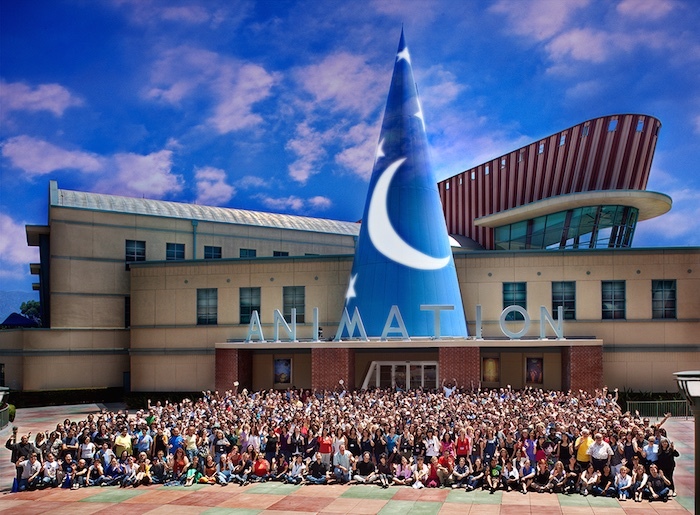 Disney recently started work on a massive renovation of the Roy E. Disney Animation Building, which houses many of the company’s employees who work within its animation unit. The L.A. Times has published an article delving into the “face-lift,” emphasizing the same principle of collaboration that was built into the Steve Jobs building at Pixar. Soon after the purchase of Pixar, newly appointed Disney Animation CCO John Lasseter and President Ed Catmull pushed for a small reno of the Roy E. Disney building, but that was just the beginning. The blue “Fantasia” Sorcerer’s Cap, which once housed the office of Roy Disney, nephew of Walt Disney and longtime senior executive at the company, will become the building’s main entrance. I can’t wait to see what the finished building looks like. Other than the move of the entrance, the rest of the outside structure of the building will generally remain the same – it will be the inside that will see the dramatic shift. The employees have quite a bit of work left for them during the renovation – although no feature films are on the way in 2015, two films are currently scheduled to arrive in 2016 – Zootopia, an adventure film centering on a fox, and Moana, a film following the journey of a 14-year-old girl through the South Pacific, are both due next year. The Disney artists will have quite a reward awaiting them at the end of a busy few years. Rightly so.